Eachine Wizard TS215 👾 Review – Does the magic continue? If you asked, just about everyone (including us) would suggest a beginner start with the Wizard X220 from Eachine. The first wizard offers a great balance between performance and price. The Wizard X220S added some new components, giving the S version more performance, but at a higher cost. Now it is about 6 months later and they have released an all-new Wizard in the form of the Wizard TS215, but does it still retain the magic of the previous wizards? Read more to find out. Can fly on 5S for insane performance. 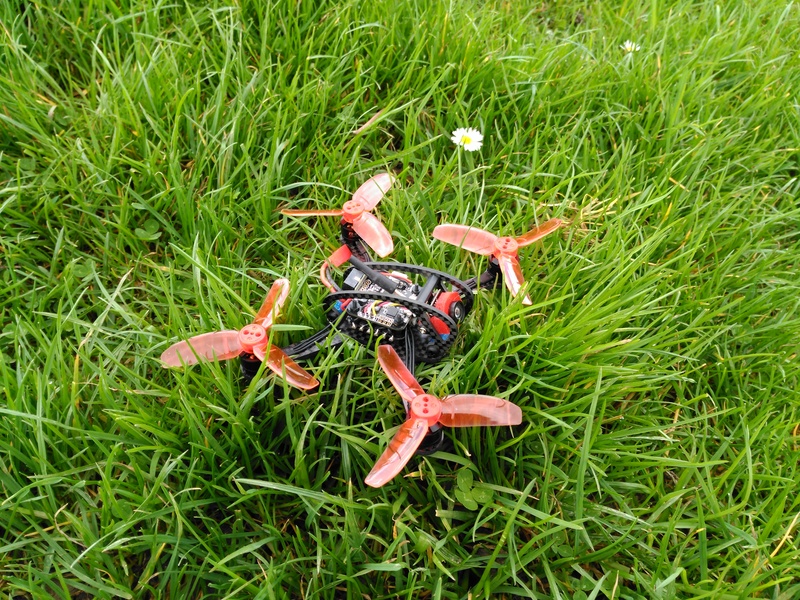 Eachine say you can fly on 6S, but it is not recommended. Same size screw heads used throughout the quadcopter, including on the motors. This makes it very nice to work on. Not only is it the vibration resistant MPU6000, but it is also mounted on some foam. This gyro is also replaceable if it should fail. Side mounted antenna keeps it well protected. Although it does look abit silly. Smart audio compatible VTX lets you adjust VTX settings remotely via the OSD. The VTX also uses a MMCX connector. Carbon fiber is strong and has nice blue camo paintwork. 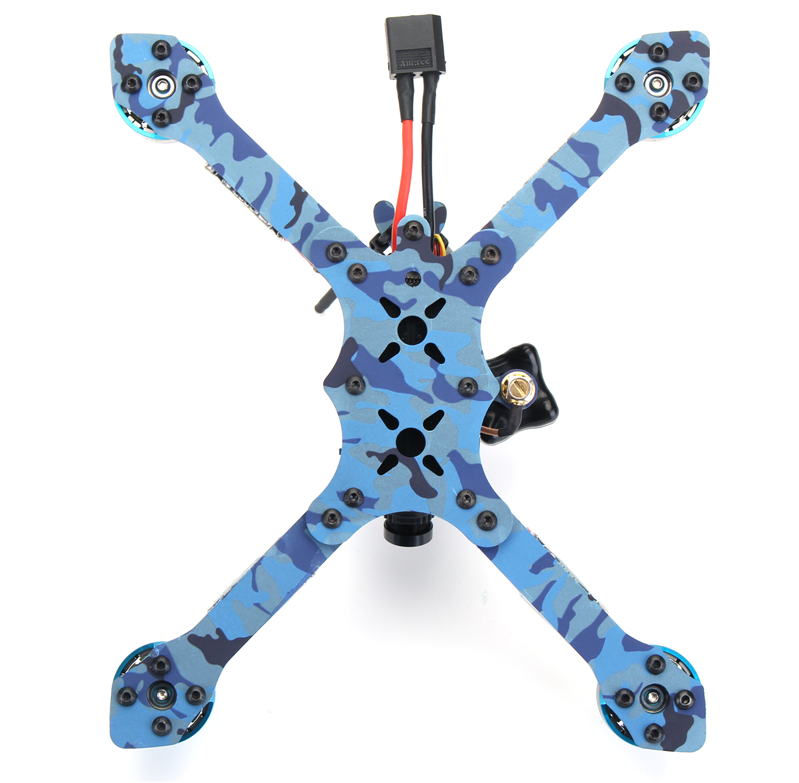 Flight controller is designed into the frame bottom plate so you cant swap it for something else in the future. Or if you break it, you will need to buy the exact same one. Eachine usually gets so close to building an impressive quadcopter but always fall short with some strange component selection. Unfortunately, the TS215 is no different, falling short yet again. 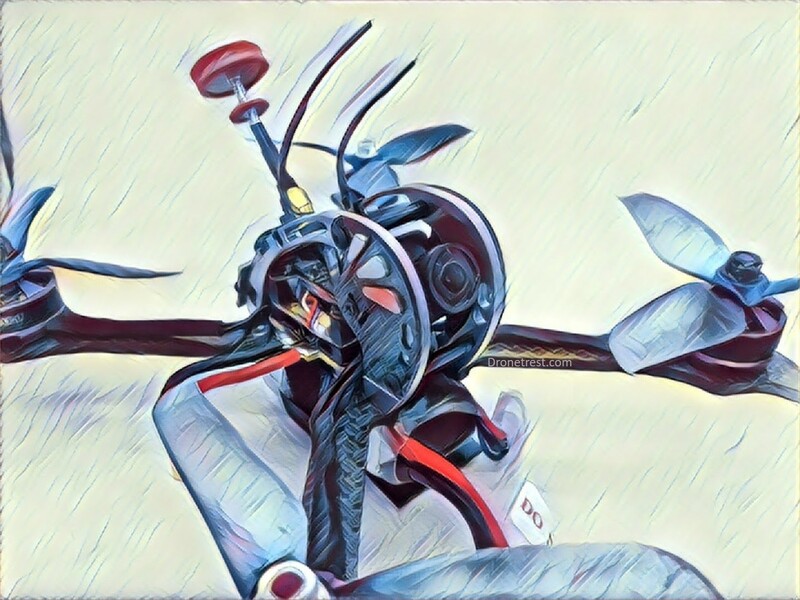 Some parts of this quadcopter give you a lot of bang for the buck, you get BLheli_32 ESC, very powerful motors and the excellent Omnibus F4 based FC coupled with a smart audio VTX. This is all mounted on a solid frame. The biggest drawback is the DVR. Sure it works but the extra latency it adds to the FPV feed lets this entire quadcopter down. However, if you disconnect it (fairly easy to do without any soldering) the Wizard TS215 is so much better. Compared to quadcopters that use the same spec hardware the wizard TS215 is competitively priced even though you are paying for a DVR you will not use. 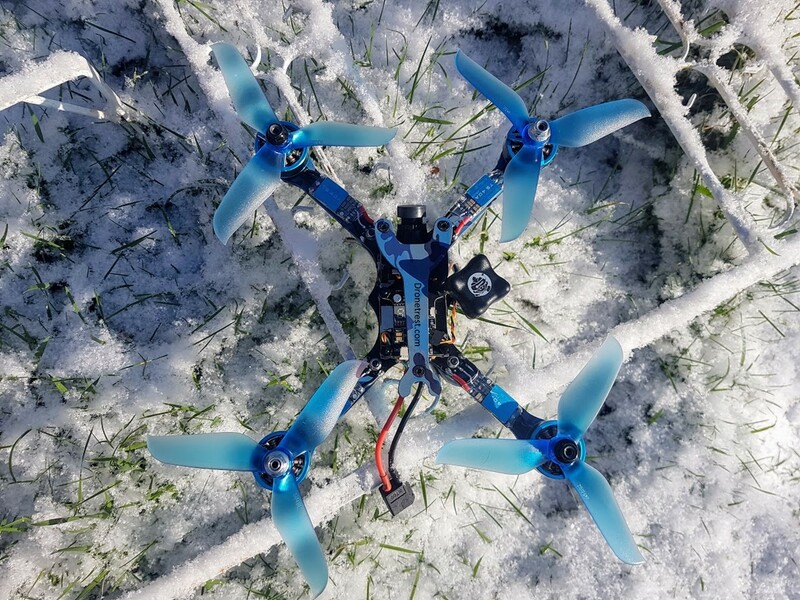 Because of this, I still think the TS215 is a viable option for someone looking for a seriously fast FPV racer that does not break the bank, given that you are willing to disconnect the DVR. When the Wizard X220S was released, it turned out that eachine tried to pull a fast one and disguise the fibreglass frame as carbon fibre (which they did fix). Fortunately, the TS215 frame is entirely made from carbon fibre and is strong. Some people may recognize this fame as being similar to the Hyperlite Floss, and although they do share some similarities, they are definitely different frames. The Hyperlite floss, as the name suggests is an ultra lightweight frame, sacrificing strength for weight reduction. The TS215 frame is considerably stronger, using wider arms, and a thicker bottom plate. This makes the wizard very strong indeed. The 215mm motor to motor frame uses 4mm carbon fibre arms, and 3mm top and bottom plates. The carbon fibre also features a very nice blue camo paintwork that is done using a hydrographic transfer process. Overall this is the best 5-inch frames Eachine have made so far, easily beating the wizard X220. One of the highlights in terms of specifications is when it comes to the motors and ESC. This wizard uses some own brand TS2306 2450KV motors, that look very nice. Eachine claims these motors can produce up to 2.3Kg of thrust on 5S. We have not verified these claims, but when flying the TS215 the motors do definitely pack a lot of punch. The ESC run at Dshot 1200 giving you insanely fast motor update rates. And each ESC also has an RGB led that you can configure using the BLheli32 software. Overall the motors and ESC work great and offer a lot of performance. I would not go as far as to say they are top quality as they do not run silky smooth like brotherhobby, or tmotors coupled to airbot wraith 32 ESC. But given the low price, they work very well. The top central plate of this frame is actually a custom omnibus F4 flight controller. This keeps things neat and tidy, but since it is part of the frame structure it can get damaged in a bad crash. That said, the bottom plate is already 3mm thick so it should offer sufficient strength. Apart from that, the FC includes all the bells and whistles you get on an omnibus F4 Pro. It features a floating MPU6000 IMU, to ensure vibrations don’t cause any problems. Furthermore, this IMU is replaceable should it fail. You also get a buzzer, betaflight OSD, current sensor, and SD card for black box logging. So overall this is a feature packed flight controller. Having an onboard DVR sounds like a great idea, and it is. Being able to record your HD footage onboard, without the need for a second camera is a very nice feature. However, in the case of the TS215, the DVR forces the video signal to be routed through it, and this introduces extra latency into the FPV signal. This ultimately makes it impossible to get full flight performance out of the wizard TS215. For beginners, using this DVR would probably be fine, but as you fly faster the latency can cause some issues as there is a delay of about 60 to 80ms in the video signal. When you remove the DVR, you only get about 10-20ms of latency. Fortunately, it is very easy to bypass the DVR entirely. Here it would be much better if Eachine would just scrap the DVR feature from the wizard all-together, as it would make it slightly cheaper and give a better FPV experience. To bypass the DVR, you just need to undo the Molex connector pin and put them into the 3 pin connector directly on the FC. It only takes about 3 minutes and is something you should definitely do when you get your TS215. To see how to swap wires in the connectors see our guide. At the front, the wizard uses a high-resolution CCD FPV camera. The 1200TVL resolution makes for a great picture, and the camera has no noticeable latency issues (assuming you have disconnected the DVR). The picture is great, and the camera has great dynamic range, something you would expect from a CCD sensor. The camera is mounted on a 3D printed adjustable mount. It doesn’t look particularly premium, but it slides out very easily once you remove to top place to make working on the wizard very easy. The VTX used on the wizard TS215 is great. It is functionally similar to the popular TBS unify. This VTX supports smart audio which lets you change the channel, power levels and startup behaviour all remotely using your RC transmitter. If you don’t know what smart audio is, we have a guide on VTX Telemetry that explains it. Having smart audio support is great, but in addition to this, the wizard VTX supports switching between 25-800mW of power and supports 72 channels. And if you don’t care to use smart audio, there is a button on the side to change the channel and power level. The VTX uses an MMCX connector, this is connected to an RP-SMA adapter for the VTX antenna. 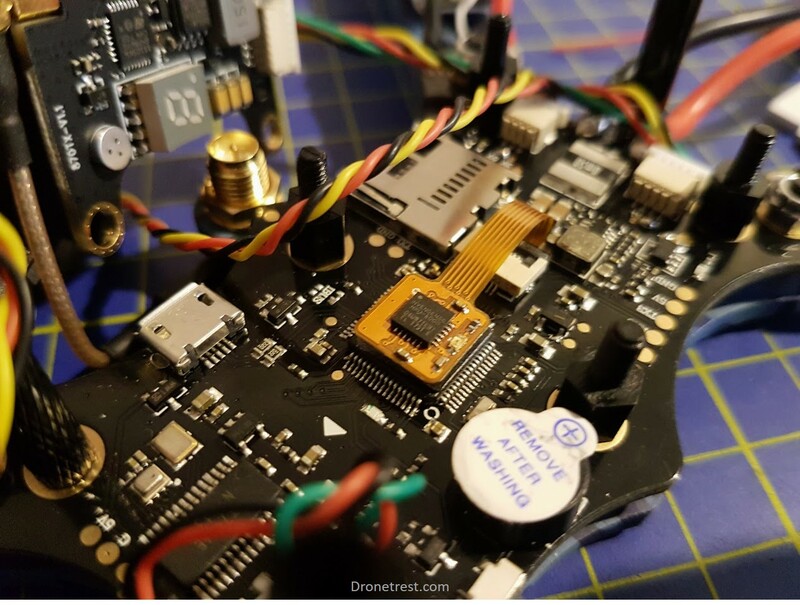 It seems that Eachine has taken ‘inspiration’ (if you want to call it that) from TBS again as they are using a clone TBS Triumph antenna. We have not taken one apart to confirm this, but the signal and range were all perfectly fine with this setup. So overall an excellent FPV system. The Wizard TS215 is sold as either a bind and fly (BNF) version with no receiver, or a plug and fly (PNF) revision. 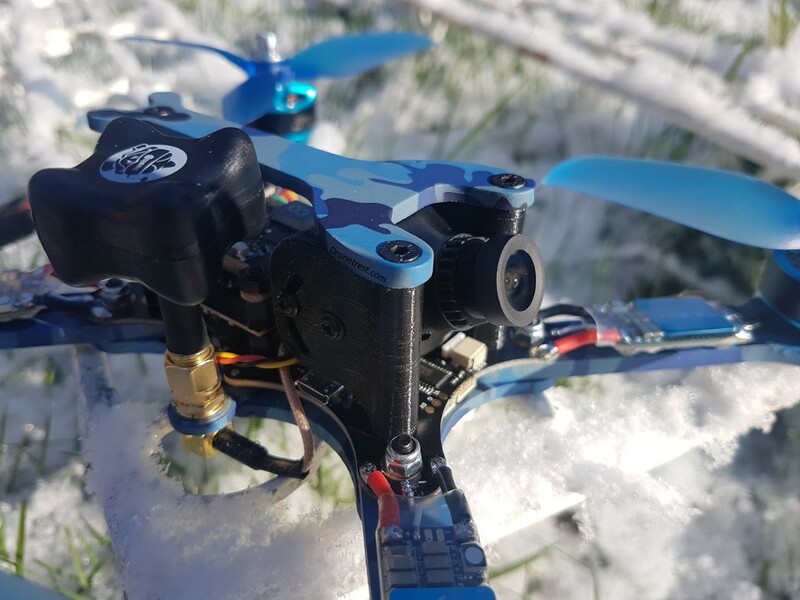 The PNF version includes a Frsky XM+ receiver that is the RX that most people, including ourselves, would recommend to use on an FPV racer. The only issue here is that Eachine only sells it with the international D8 firmware only. So if you purchased your Taranis in the EU, it will be using the D16 firmware, so you will first need to update the firmware on the XM+ before you can use it. So for those in the EU, best to just get the BNF version and hook up your own receiver. I hope that you found this review helpful in making a decision if you should buy a wizard TS215 or not. At the end of the day, I feel that eachine have chased after specifications and features with this quadcopter, and ultimately the DVR would have been a killer feature if it worked properly, but it doesn’t. This just increased the price slightly and also means you have some extra work to get the TS215 flying properly since you need to remove it when it arrives. But despite this DVR issue, the wizard TS215 is a worthy upgrade from the wizard X220S in terms of performance, and only costs a bit more. SO if you are deciding between the two, I would suggest you go for the TS215. As usual, if you have any questions or comments please add them below. 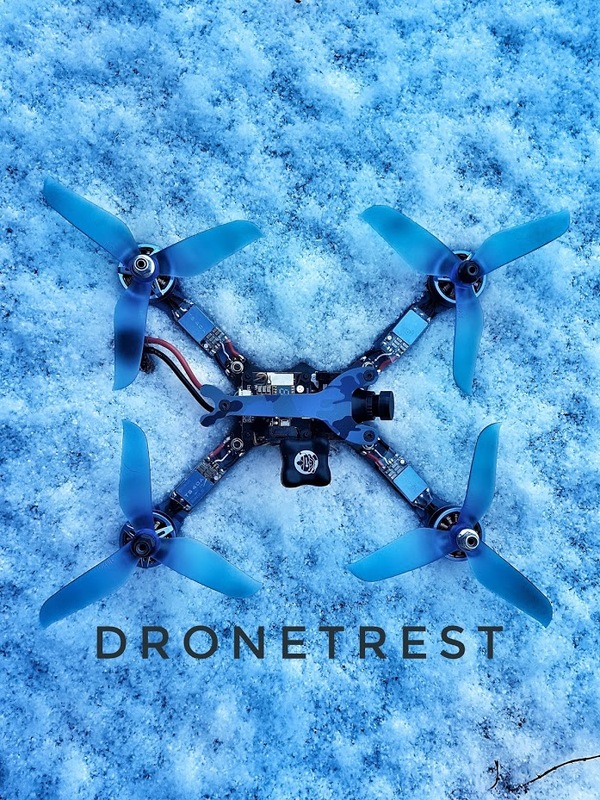 And if do decide to buy the TS215, please use our links in this article as it gives us a small kickback to support dronetrest.com. Also, it means that if you have any issues with the supplier we can step in to help as they know we reffered you, just let us know.